McCAYSVILLE. 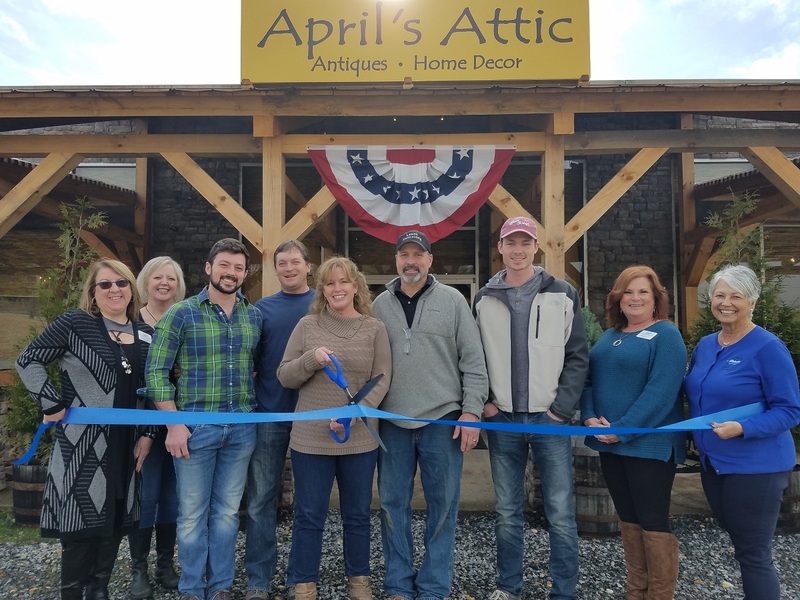 Ga. – The Fannin County Chamber of Commerce held two ribbon cuttings this week to celebrate the recent openings of the McCaysville Visitor Center and April’s Attic home decor store. 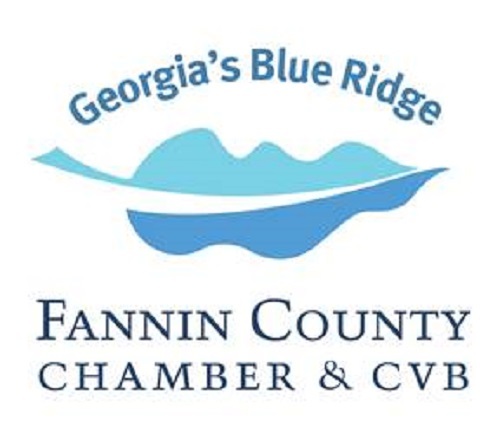 Representatives from the Fannin County Chamber of Commerce met with owners and partners from April’s Attic at 6850 Appalachian Hwy. in Blue Ridge Tuesday, Jan. 9, for a ribbon cutting. April’s Attic is a home decor boutique specializing in antiques and collectibles. 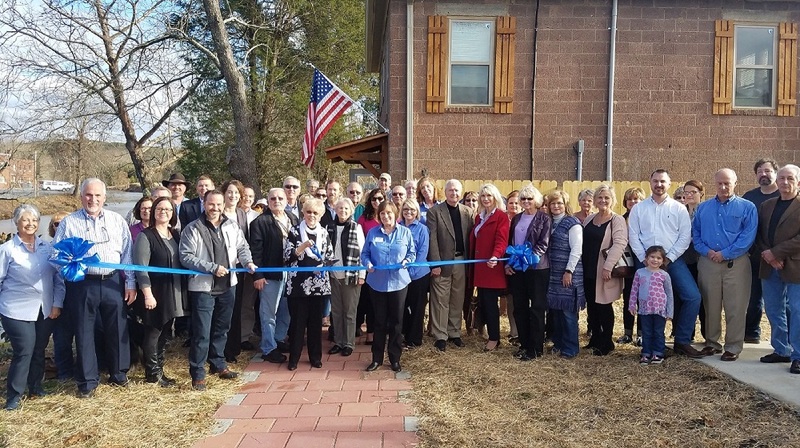 Seen here during the ribbon cutting ceremony Tuesday are, from left, Chamber ambassador Brenda Morgan, Chamber ambassador Lisa Reece, Zack Leach, Mike Cheves, April Leach, namesake owner of April’s Attic, Larry Leach, Austin Leach, Chamber ambassador Bonnie Roper and Chamber Director of Membership Services Dianne Mallernee.